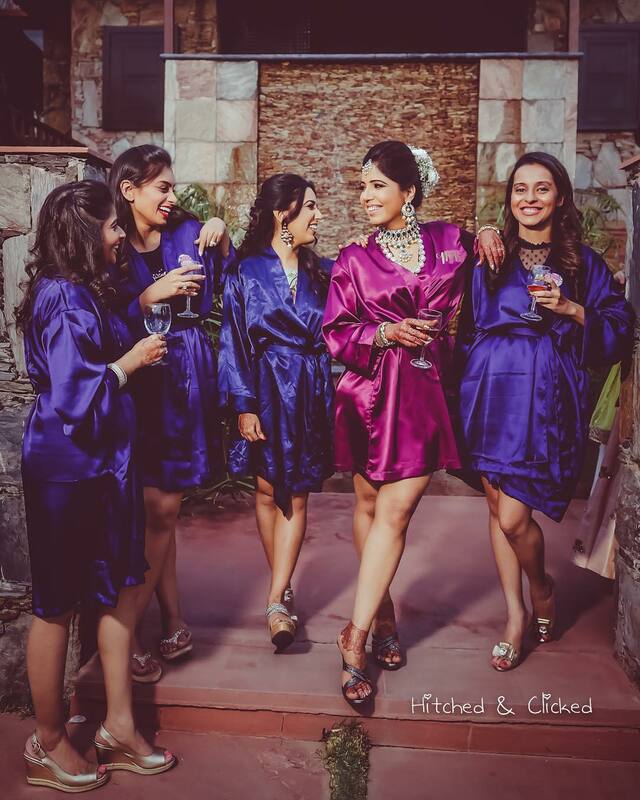 Bride & Bridesmaids Poses - MUST HAVE Clicks with your BFFs! 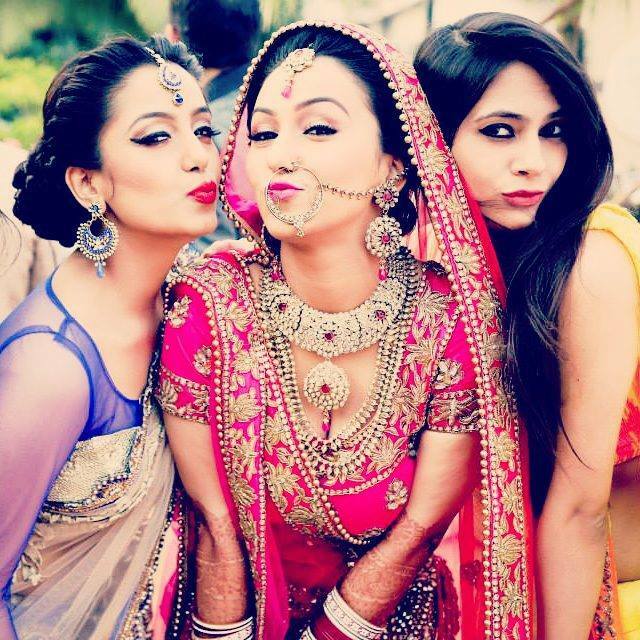 Bride & Bridesmaids Poses – Those MUST HAVE Clicks with your BFFs at your Wedding! What would you do without your besties, sisters & cousins? 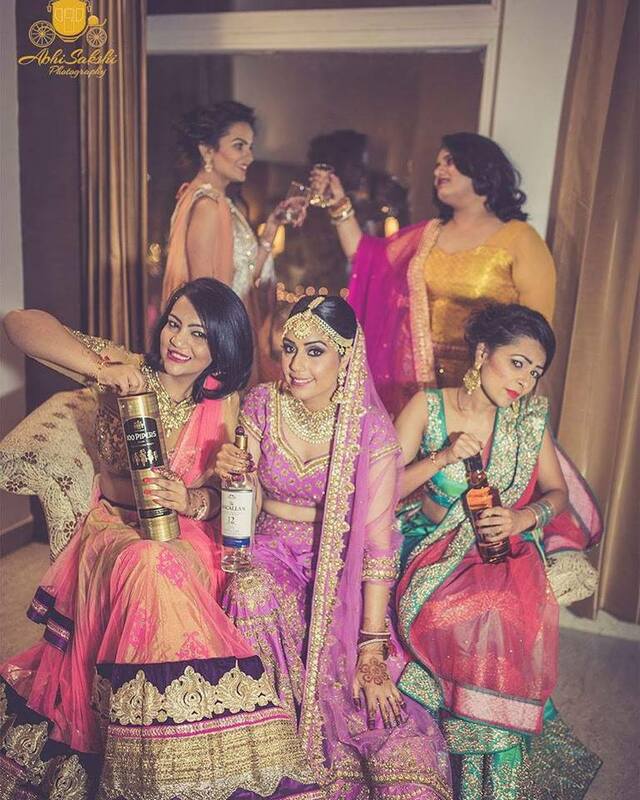 It’ll be such a sin not getting some super shots clicked with them at your wedding. 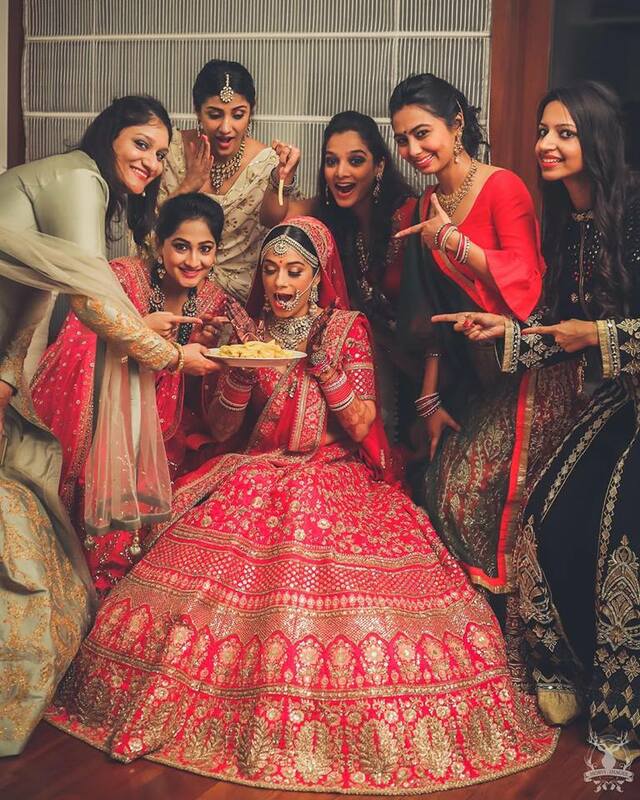 Lo & behold… Here’s some of our fav Bride & Bridesmaids Poses for you! 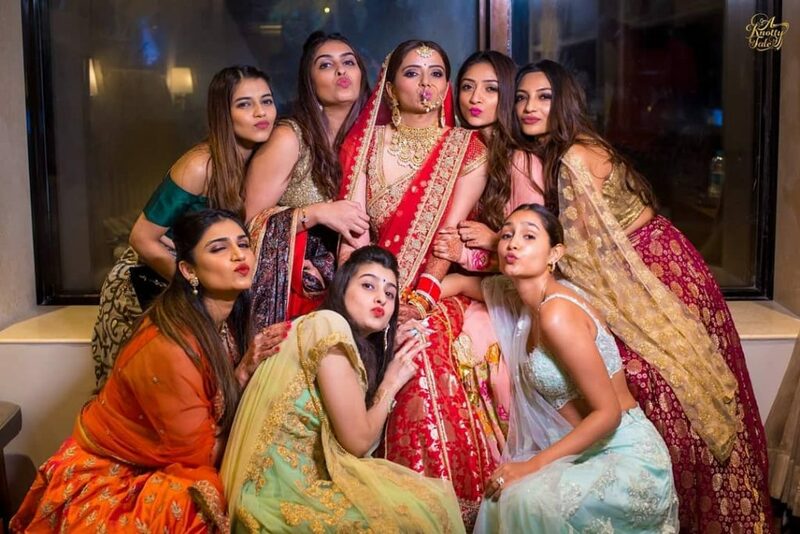 Choose from our handpicked Bride & Bridesmaids Poses and you’re all set to have a blast shooting for your wedding album! 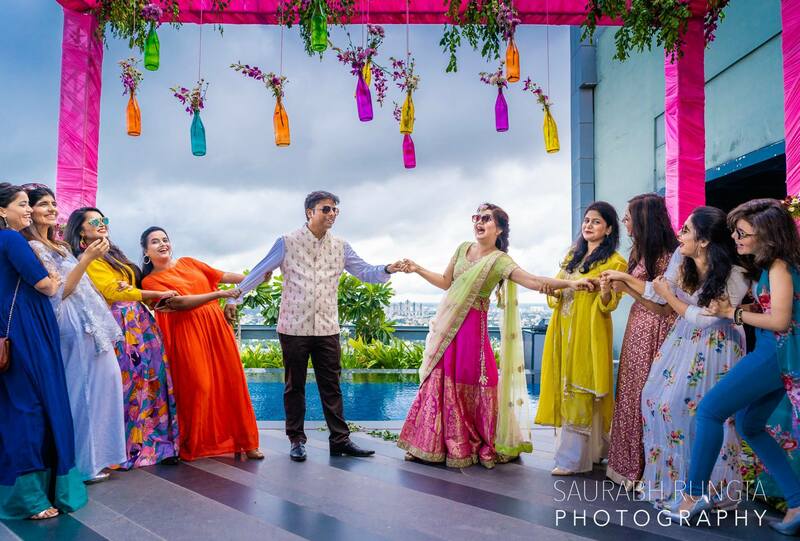 Bride & Bridesmaids Poses #1 – Color Coded Gals! 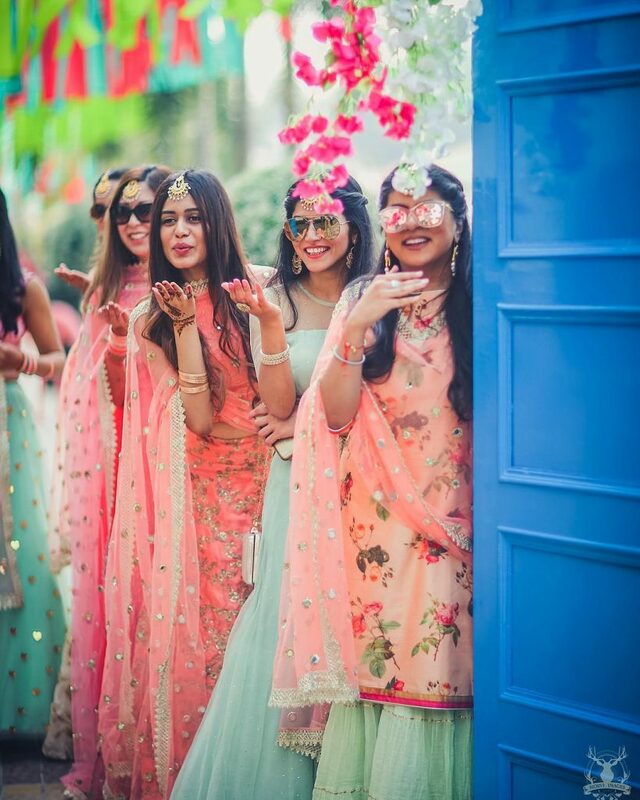 Select the perfectly matching outfits for your gang of girls that not just matches the overall theme but also totally complements your own outfit as the bride. Once they’re dress coded to the T, there’s a thousand poses they can strike with you or your sweetheart that’ll come out simply beautiful & fun! 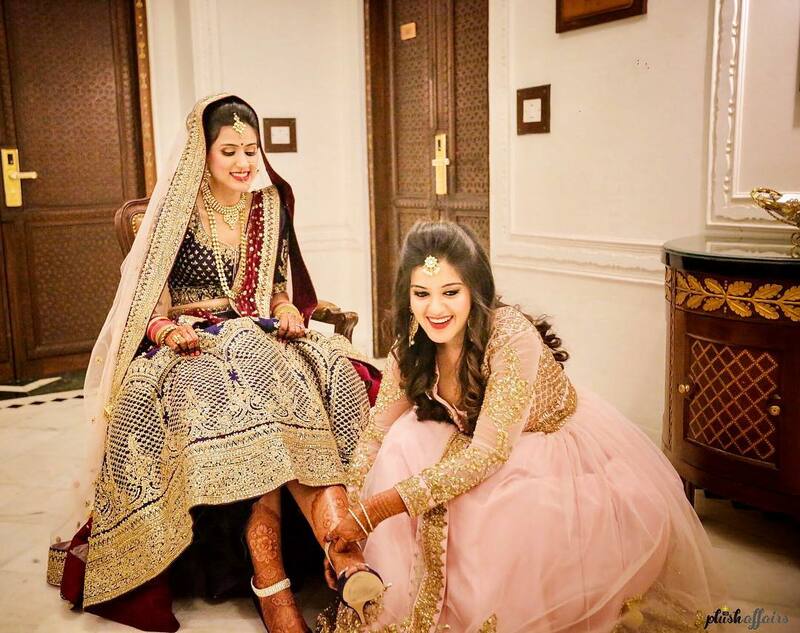 No matter who dolls you up professionally, but you’ll always crave that personal last minute touch-up from yours besties, sister and bhabhi! #3 Dancing & Twirling Away! 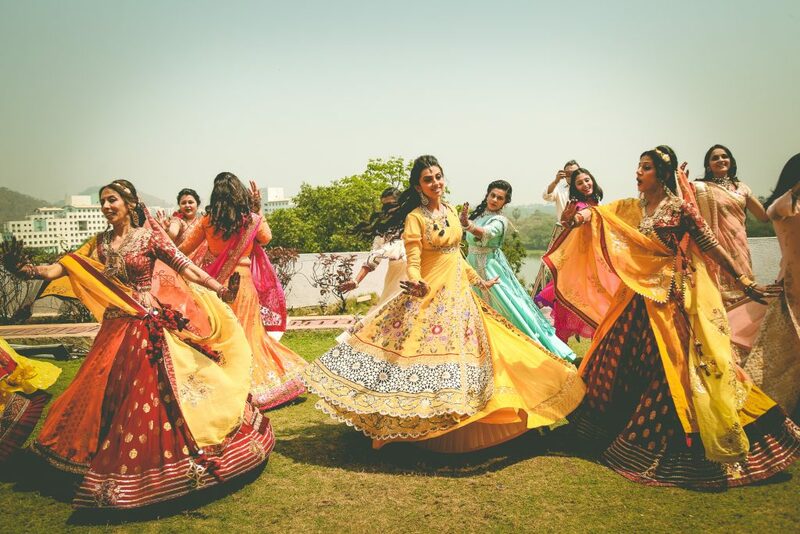 Who doesn’t love dancing the night away with their best buds or simply twirling around with them and posing for pics in your most fanciest outfits! #4 Your Beautiful entry as the Bride! 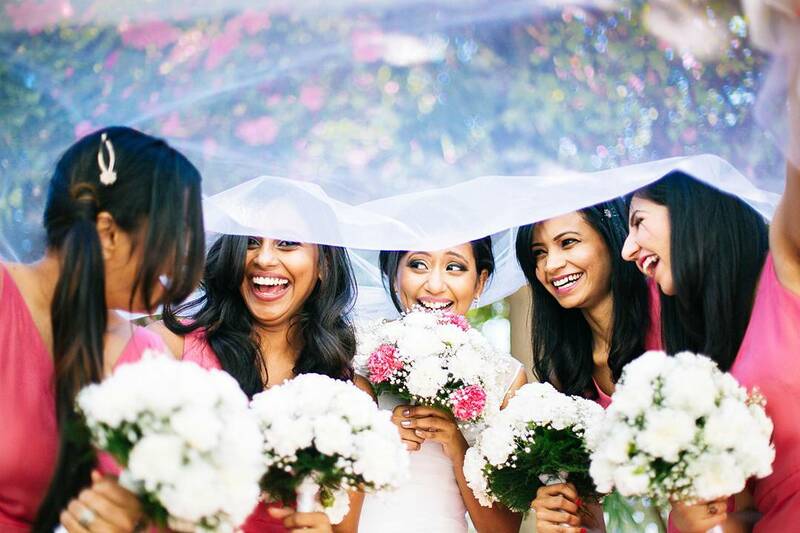 Just before entering your wedding venue when you can actually feel the butterflies in your tummy, only your besties can make you giggle, laugh & cheer up! 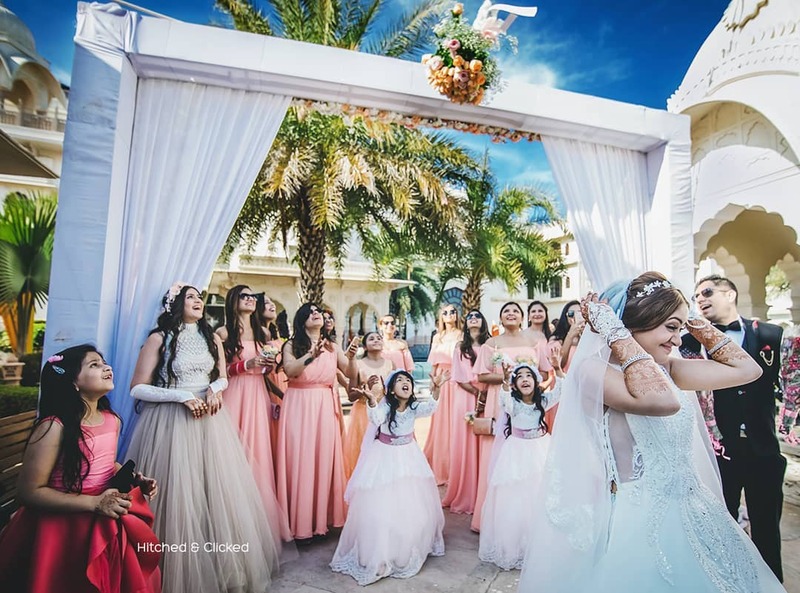 Whether its a simple bride entry where they’re just walking with you or one like this where they’re actually creating a tunnel of love – you can’t miss getting this picture framed forever! 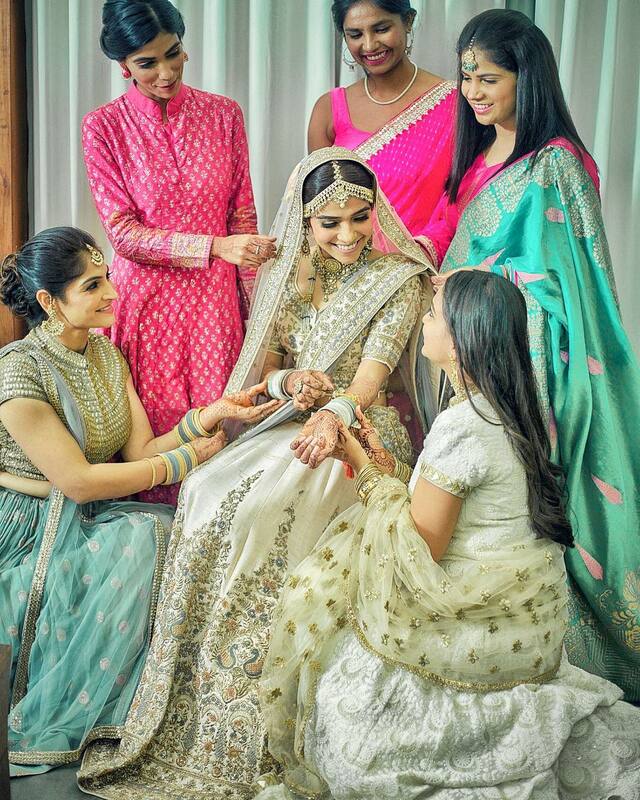 When it comes to your real self, nobody knows you better than your bridesmaids. 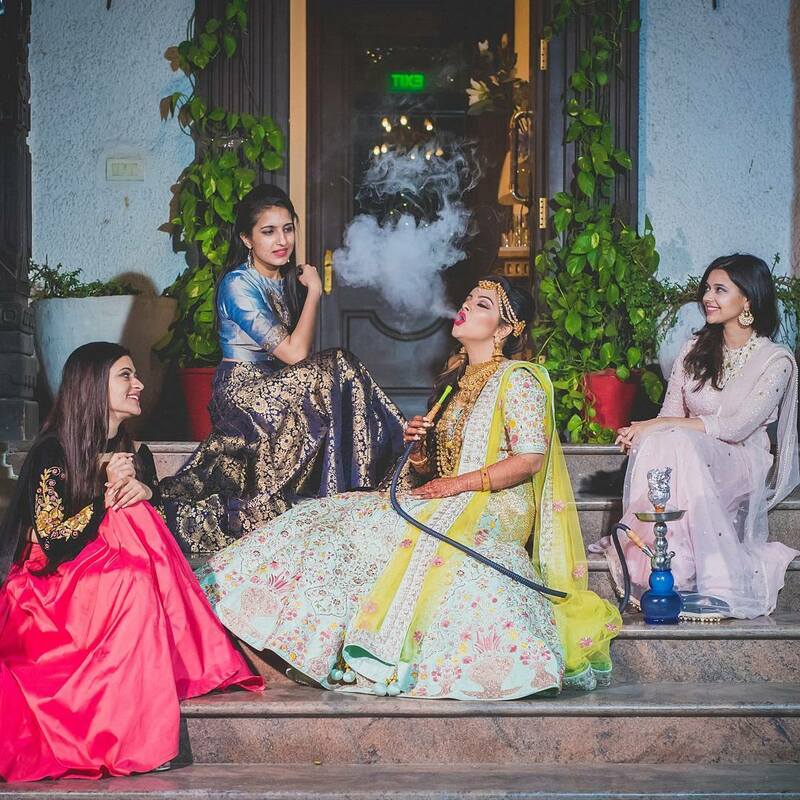 So how can you miss capturing a few candid shots of yourselves doing what you love… but dressed traditionally from tip to toe – old gen beware! #6 The Pout Sisters Pose! Which girlgang can do without a few pouting selfies everytime we party! Then why should your wedding pictures be far behind? Looking for more wedding day portrait ideas? Check this out! 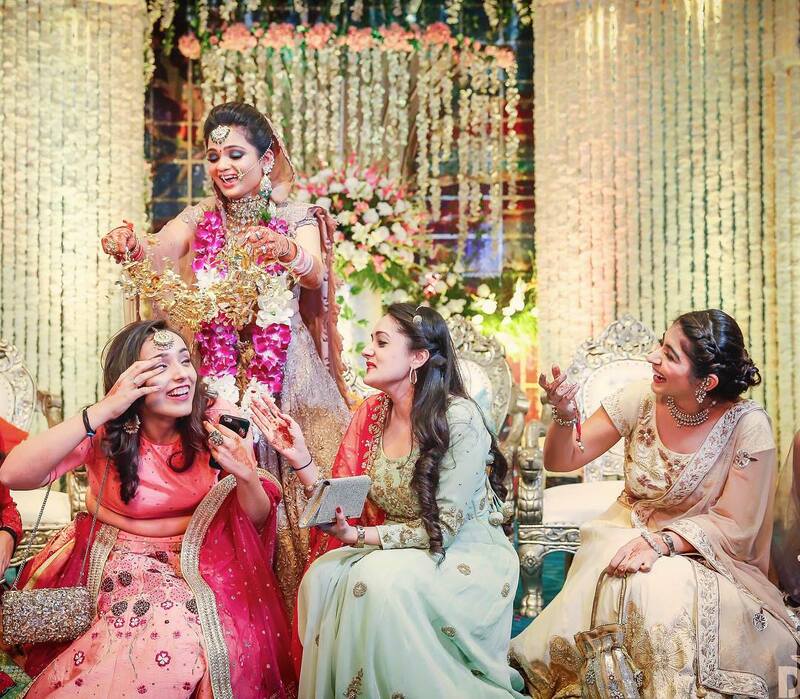 On the Wedding day, the “kaleere moment” predicting “who’s next” is a fun-filled ritual that’s full of behind the scenes gossip only we girls understand! 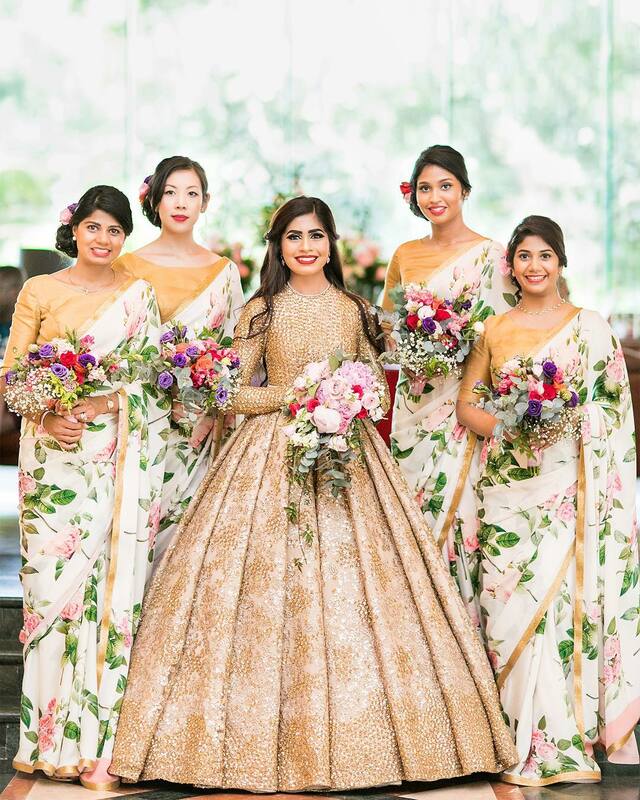 Kalire or bouquet, whatever you choose to sway – this fab pose is a must have for your wedding album! #8 The ‘Don’t Care Who’s Looking’ Kiss! Sorry misses.. We’ve sealed it with our Kisses! 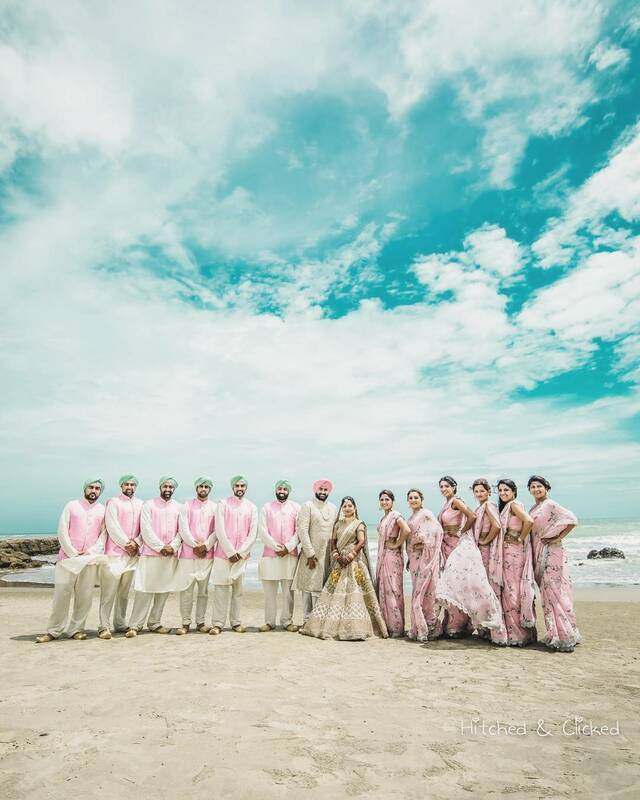 And when you’re just married and going for your ‘first kiss’, a line-up of your dress-coded tribe makes for the loveliest frame ever! #9 Rocking the Beach Wedding! 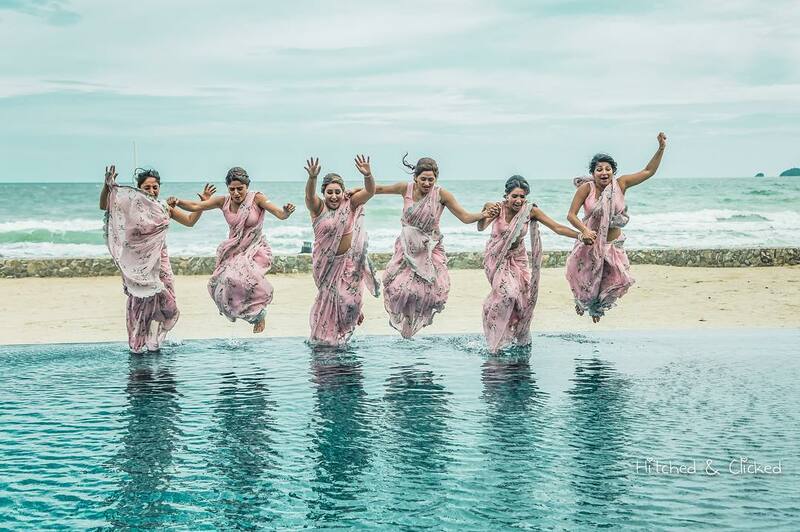 When you’ve decided on a beach wedding, there’s no doubt your gang is going to be enjoying it the max. Make sure you capture all that in some posed and some crazy candid beachside shots with your gang! Planning a Destination Wedding but dunno where to start? Here’s our Ready Reckoner! 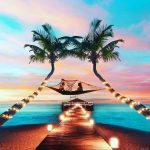 Planning a Destination Wedding – Top 11 To Do’s! #10 But First, My Poison! 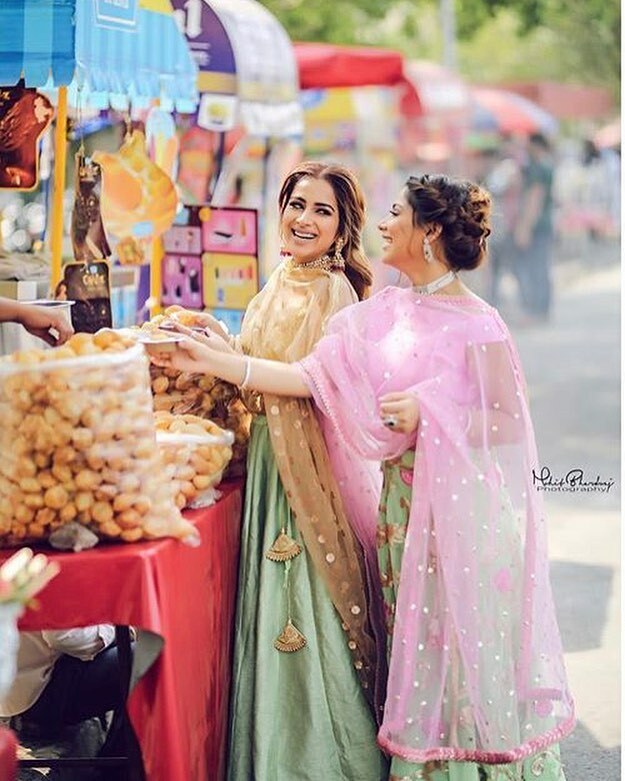 Its every bridesmaid’s official responsibility to make sure the bride is well fed with her favourite soul food at every ‘behind-the-scene’ opportunity! 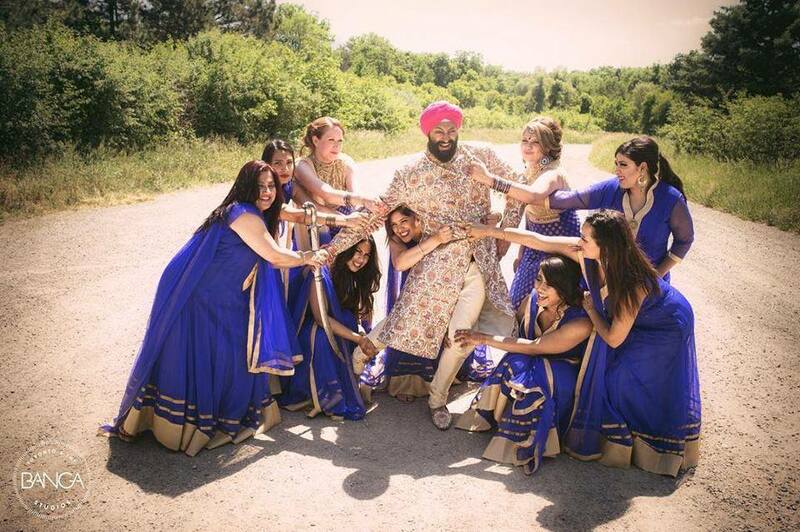 #11 That epic ‘Jija Saali’ Bride & Bridesmaids pose! Isn’t this ‘he’s ours’ pose just too much fun! #12 The Ubercool Dressing gown picture! So you girls are gonna have the bachelorette but only plan to capture it on phone? Big mistake! 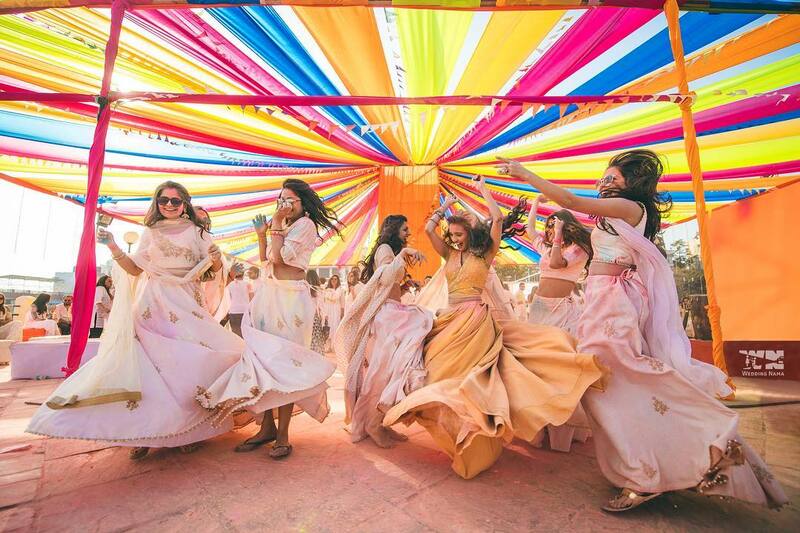 Make sure your wedding photographer is around to capture you and your bridesmaids in some jazzy ready to partaaaaay pictures! 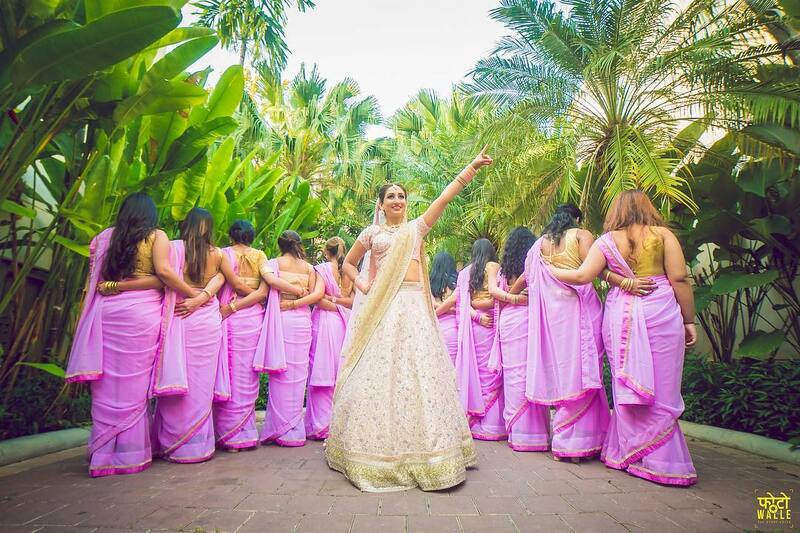 From PeeCee and her bridesmaids to you and your girls – this is one party you can’t miss capturing forever! 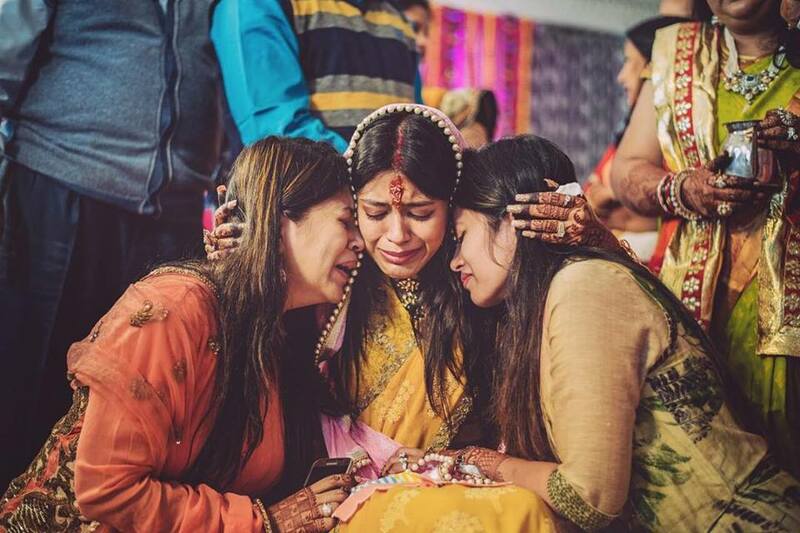 After all those years spent doing catfights, bitching, kissing, hugging, pouting and more together… It’s difficult to leave her behind and move on! Make sure your photographer knows this special bond is to be captured and captured well. 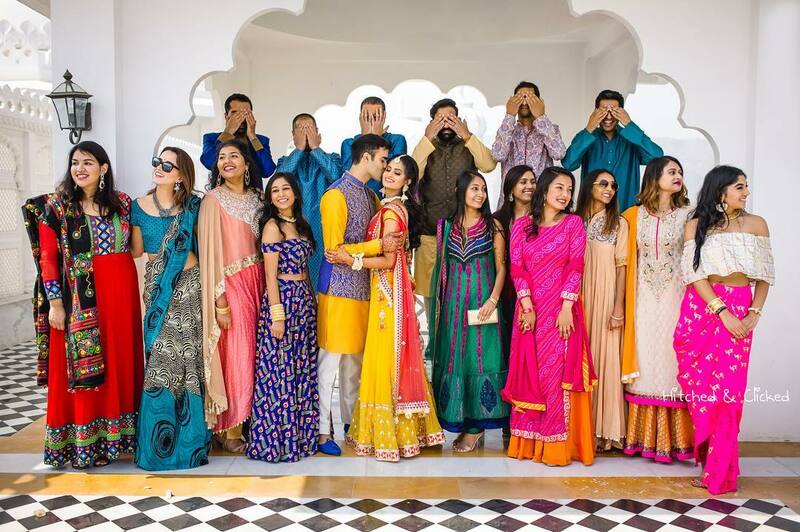 From color coded classics to funny and humorous moments, these bride & bridesmaids poses are a must to forever save your best moments together in the most perfect frames. Which one do you you love the most? Let us know in comments below and share with your besties right away! 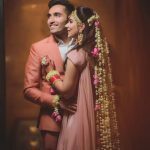 Hindu Wedding Dates 2019 – A handy Snapshot of the Best Muhurats this Year! 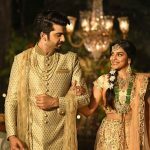 Top Wedding Destinations in India to get hitched-Decoded! 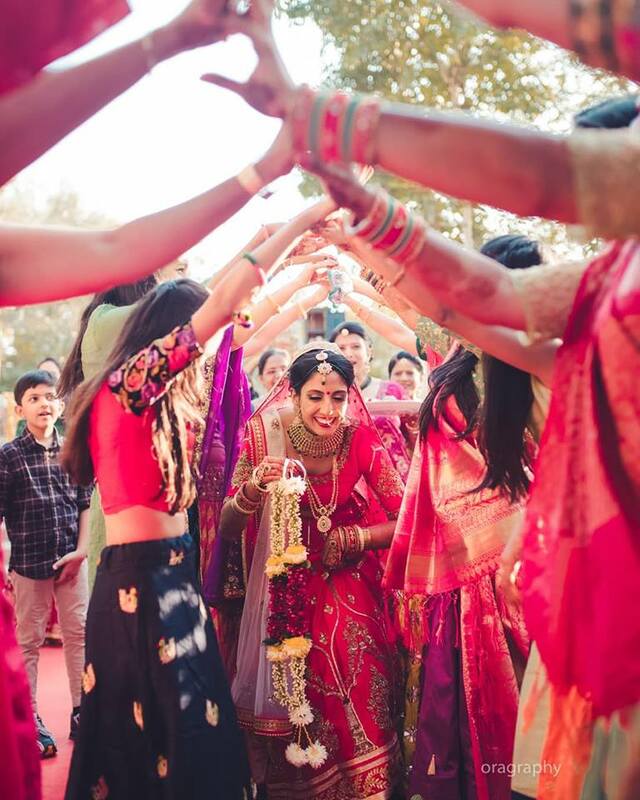 Richa is Senior Partner at Zowed - The Wedding Planning website. She has a background in marketing consultancy, branding and everything social media related. She loves reading, talking and blogging about her likes, tastes & trends in the wedding industry.